Armor Automatic Sprinkler Corporation is a full service fire protection company providing outstanding service to customers in New Jersey and throughout the New York metropolitan area for over 20 years. We are proud of the fact that we have not lost a single building or customer in these 20 years. Welcome to Armor Automatic Sprinkler! Please click here to see our Armor Sprinkler Gallery of recent work. Be sure to take the appropriate precautions to protect your home when using exterior and interior lights, heaters, fires and other potential hazards. Please call us if you need assistance or advice. Thank you, we look forward to serving you! Armor Automatic Sprinkler is in the business of life safety and protecting property, production and profitability. 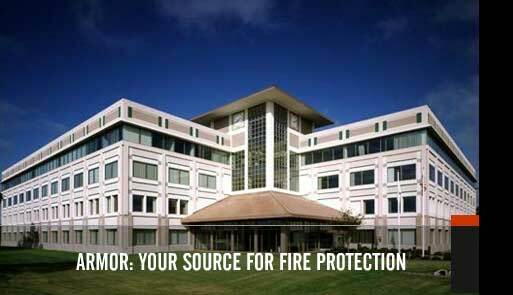 Armor offers a turnkey solution to your fire protection needs. Armor provides engineering and design services, as well as installation and maintenance of sprinkler systems in both residential and commercial buildings. In addition, Armor sells and services a broad range of fire protection equipment. Whether it's a fire sprinkler system or a more specialized fire protection system, Armor can offer you the best design, installation, testing, repair and maintenance available in the industry. Select Armor Automatic Sprinkler and align yourself with the very best in the business. Call our office today and ask for Nick DeLuca, President of Armor Automatic Sprinkler, to discuss your fire safety requirements.